Interested in learning more about Gotham, our flagship nine-month faith and work intensive? Join us for one of our three interest meetings: an evening gathering on March 14, a morning meeting on April 10, or a lunch on May 14. We all face decisions, big and small, in our day-to-day work. And according to research, half of managerial decisions made in business are “bad” ones. The push and pull of wise decision making can make the sacred-secular divide all the more evident. God is concerned with what decisions we make, but even more with how we make them. Are we allowing the Holy Spirit to lead our decision-making at work? How can we listen to the Spirit as we decide whether to invest in a company, hire or fire someone, choose a new supplier, or confront a dysfunctional relationship? Josh Hayden, leadership consultant and professor, will share some practices you can implement tomorrow to apply a spiritual model into your daily and even hourly decisions. This workshop will draw from both Ignatian discernment practice and evidence-based strategies for making wise decisions. 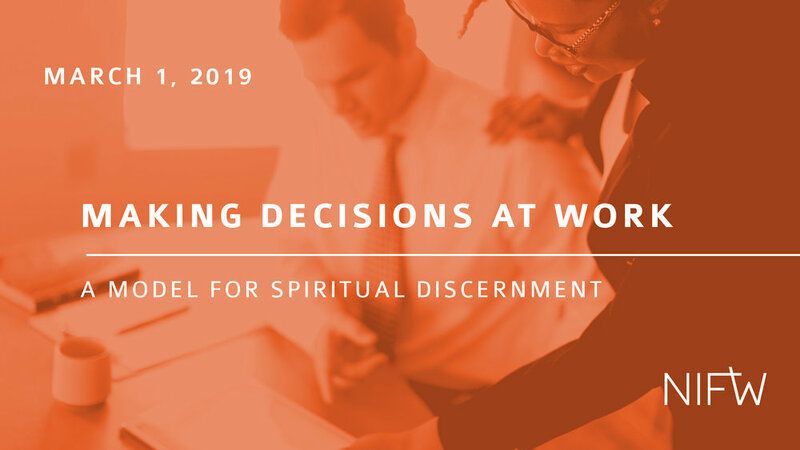 We will also be joined by special guests who will share their journey of faithful decision making, as well as how they guide others to make better decisions in their work. Special guests include Richard Perko, CEO of Lee Company, Morgan Wills, CEO of Siloam Health, and Gail Pitt, Founder and Spiritual Director of Dovehouse Ministries. 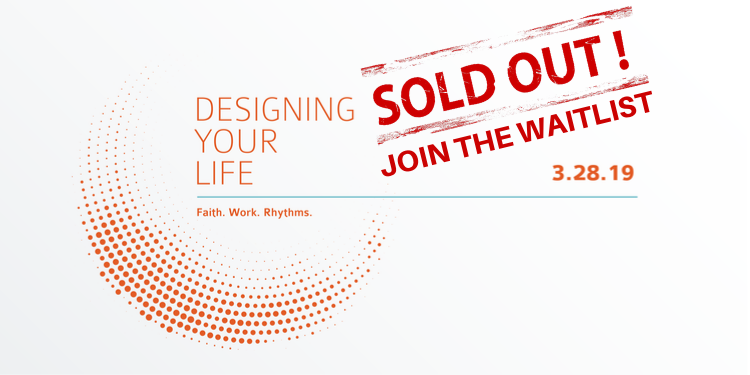 Join us for an interactive, inspiring and applicable session on Friday, March 1st. Recognize the characteristics of bad decision making, including the forces that keep you from wise decisions. Assess your own assumptions and theology of discerning the will of God in everyday decisions. Apply the Ignatian rules for discernment and spiritual practices for faithful decision making. Adapt evidence-based tools and strategies to your own work context. Practice guiding others through making a tough decision. 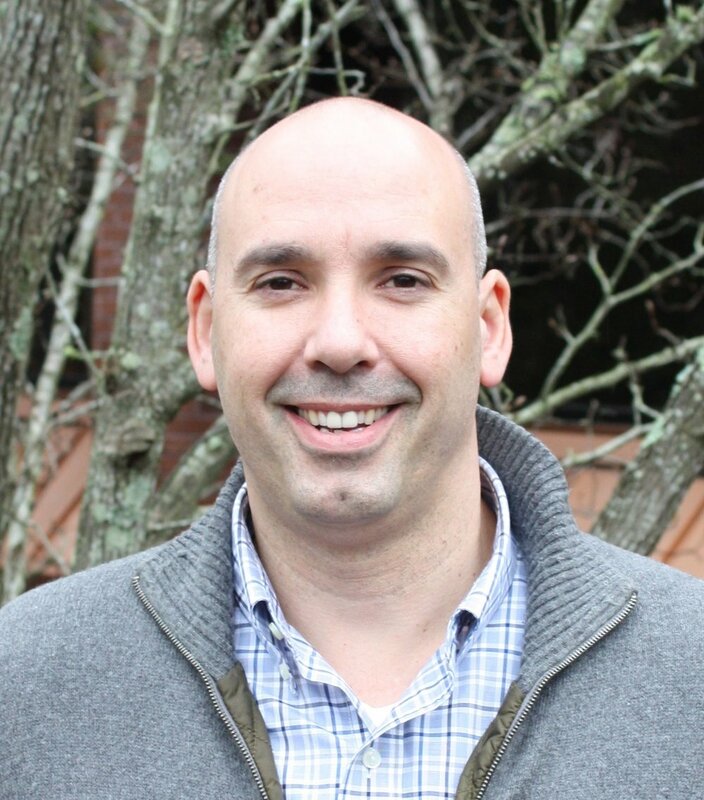 Josh Hayden has almost 20 years administrative and university teaching experience and is a leadership consultant awaiting his departure to work as an educator in Western Europe with Global Scholars. He is an alumni of the Gotham program, NIFW’s nine-month faith and work intensive. Upon earning his degree in 1996, Mr. Perko was hired by Lee Company as a project engineer where he engineered, developed and sold mechanical and plumbing systems for healthcare, industrial, commercial, and institutional facilities. Working alongside Lee Company’s Construction teams, Mr. Perko became heavily involved in Construction Management and moved into Construction as a Project Manager where he was promoted to Vice President of Construction in 2001. In 2004, Mr. Perko was given additional companywide responsibilities and was promoted to Executive Vice President. In 2009, Mr. Perko was promoted to President and is now responsible for all company sales, operations and strategic planning for its business units. 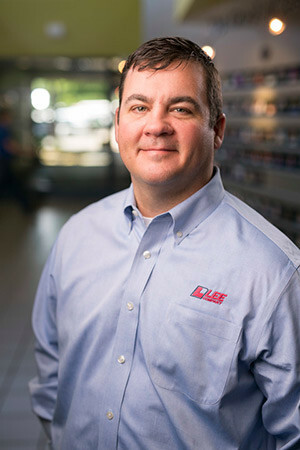 His current focus is on broadening Lee Company breadth of services and offerings and completing the company’s transition from a traditional mechanical contractor and residential HVAC provider to a comprehensive Facilities Solutions and Home Services provider. Gail Worsham Pitt has been a follower of Jesus since 1972, and has a great desire to work with those who long to know Jesus and grow in relationship with Him. She has been a spiritual director since 2003 and a therapist in private practice over the last 27 years. She has a Masters in counseling from the University of Pennsylvania at Shippensburg and a Masters in Biblical Counseling from Colorado Christian University. She holds a certificate in Spiritual Direction from The Jesuit Center in Wernersville, Pennsylvania. Gail works with individuals, small groups, and church staffs in spiritual direction, spiritual direction groups and directed silent retreats. She has led many people over the last 8 years through the Ignatian Spiritual Exercises in Daily Life, and began a three year training program for those who are called to the ministry of Ignatian Spiritual Direction in 2015. She lives in Nashville, TN and is the mother of four adult children, one daughter-in-law, one son-in-law and has five grandsons and one granddaughter, and twin grandchildren due in October. Dr. Morgan Wills is the President &amp; CEO of Siloam Health, a faith-based, nonprofit health center serving Nashville’s uninsured—especially the immigrant and refugee communities. A Nashville native, Dr. Wills earned his BA in history from Princeton University, his MD from Vanderbilt University School of Medicine, and an MA in Marketplace Theology from Regent College (Vancouver, B.C.). He completed residency training in Internal Medicine at Vanderbilt University Medical Center in 2000 and was inducted as a Fellow of the American College of Physicians 2006. An award-winning clinical faculty member at Vanderbilt, Dr. Wills is also graduate of Leadership Nashville and the Nashville Health Care Council Fellows program. Dr. Wills hones his cross-cultural skills at home with his Canadian wife Heather and their three teenage children. Join us for an interview with Patrick Woodyard, CEO of Nisolo, a visionary CEO trying to move the fashion industry towards valuing exceptional design, the producer, and the planet just as much as the end consumer. Through the tribulations of starting and sustaining an online retail business with counter-cultural operations, Patrick has experienced a personal leadership transformation around control and dependence. Come learn with Patrick as we reframe the idea of leading a company at our NEW lunch location: The Engine Fueled by Ankura (2963 Sidco Dr., Suite 101, Nashville, TN 37204). Patrick is the Co-Founder & CEO of Nisolo, an E-Commerce Footwear & Accessories brand striving to push the fashion industry in a more sustainable direction. Patrick graduated from the Croft Institute and Sally McDonnell Barksdale Honors College at Ole Miss, where he studied Global Business, Latin American Studies, and Spanish. After graduating, Patrick took a microfinance job in Peru, where he met a group of shoemakers who, regardless of their talent, faced the grim reality of low wages and unsafe working conditions that many people within the fashion industry face today. Patrick co-founded Nisolo with the vision to offer customers high quality products at competitive prices and manufacture them in a manner that champions people and the planet in the process. The brand has since sold products in all 50 U.S. states and 60 countries around the world and currently supports the livelihoods of over 800 individuals throughout its supply chain. For his work with Nisolo, Patrick has been named a Forbes 30 Under 30 honoree, an “Innovator Changing The South” by Southern Living, and a Global Accelerator Entrepreneur by the United Nations. Patrick resides in Nashville with his wife, Sally Ward, and newborn daughter, Anna Campbell. Join us for a conversation on paradigm shifts, insidious idols, and new perspectives about faith and work. NIFW Executive Director, Missy Wallace, will interview Marten Fadelle, who worked as a white collar professional most of his adult life, but is currently working as a contract janitor. Marten will share his journey over the past two years since leaving his white collar job and the difficulty and freedom he's experienced along the way. While we are not all called to radical job change, we are called to radical faith. Come learn with Marten as we reframe the idea of “important” people and "important" work. Marten comes to Tennessee from his native Canada, and has a rich, international vocational background in the fields of environmental consulting, education, healthcare, and community development. He is passionate about justice, equity, healthy, inclusive and sustainable community development, learning through relationship, and disrupting perceptions through novel perspective shifts. Marten is the Board Chair and founding Board member of The Church of Another Chance. Currently, he consults on issues pertaining to community development, connects people who would not likely be connected, and works as a laborer in the service industry. Marten and his wife, Beth, live in Brentwood, TN. What: The Entrepreneur Support Group is a confidential time with other CEOs, a pastorally-trained executive coach, and a curriculum focused on Christianity and entrepreneurism. Working outside the home, working inside the home, married, single - with so many important roles to fill, why are women criticized and discouraged for their work-life choices? Date/Time: Tuesday, January 22, 6-8:30 p.m.
Food: Buffet provided. Cash bar available. 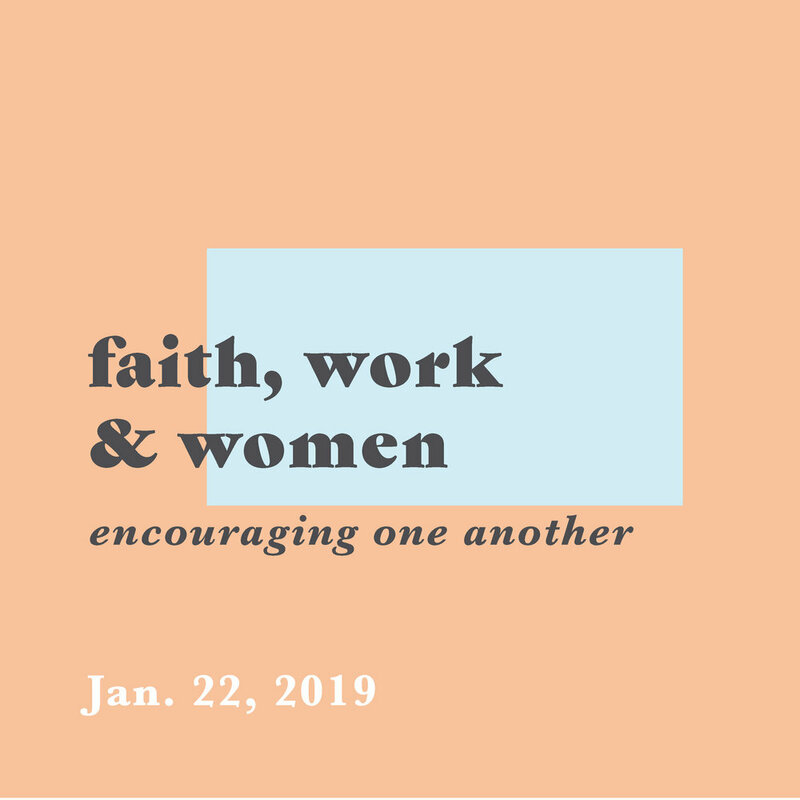 Join Women's Ministry at Christ Presbyterian Church and the Nashville Institute for Faith and Work for an honest conversation aiming to empower and encourage all women that their work - paid, unpaid, volunteer, or in-the-home - matters to God. We will provide a space where women of every age and stage can connect to listen and discuss the standards, pressures, and misconceptions they experience regarding their work-life choices. The program panel will consist of women in the following areas: a mom who works full time outside of the home, a mom working in the home, a single professional without children, and an empty nester who is transitioning into a new season of work. Our hope is that women will leave not only confident in what they do, but also motivated to encourage other women to know that no matter where they are in life, their day-to-day work carries dignity and purpose. Join us as NIFW Executive Director Missy Wallace interviews James Granberry, Partner at OakPoint, and Erick Goss, CEO of Creative Trust, about the ebb and flow of entrepreneurship. Both professionals bring a breadth of knowledge and various experiences working faithfully to start and run organizations in distinctly different industries. James is a founding partner of OakPoint Investments. His efforts center on managing the company’s $350 million investment portfolio across the US, in addition to maintaining relationships with investor partners. He is a Texas native, Furman graduate, and Vanderbilt MBA holder with expertise in portfolio and asset management, financing, acquisitions and dispositions. James is married with three girls (2,4, and 6) and when he isn’t working or attending tea parties with his girls, he likes to read, play golf, or listen to his latest favorite podcast. Erick is CEO and Co-founder of Creative Trust Ventures where leads all retail, e-commerce, online video, and mobile operations. 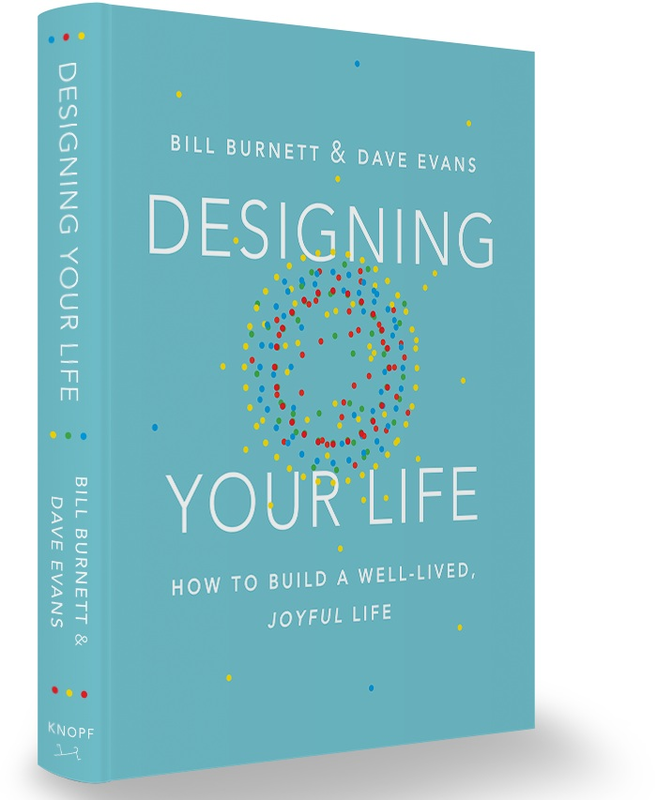 At CTV, he launched JellyTelly, a new children’s digital network, and subscription video-on-demand platform and, in partnership with VeggieTales creator Phil Vischer, launched the bestselling video series Buck Denver Asks…What’s in the Bible?. Before co-founding Creative Trust Ventures, Erick served as Chief Marketing Officer at Magazines.com, an Internet Retailer Top 500 Company, and as Senior Manager of Books at Amazon.com. At Amazon, Erick managed North American Book Buying, Marketing Data Mining, Customer Loyalty & Retention, and Books Product Management. He was instrumental in the launch of Amazon’s first e-book and print-on-demand businesses, Amazon’s Visa Card and the Super Saver Shipping program. He began his career as an officer in the U.S. Navy where he flew helicopters and was a Pentagon spokesperson. He graduated with honors from the U.S. Naval Academy with a B.S. in Computer Science. He has an MBA with honors from the University of Michigan and an M.A. in International Relations with honors from Troy University. Erick serves as an Adjunct Professor for Internet Marketing at Vanderbilt University’s Owen Graduate School of Management. He is married and has three daughters. Influence. Regardless of our industry, our hierarchical position in an organization, or our family role, we all have influence. But, do we consider it a resource to steward? According to esteemed author and former editor and producer at Christianity Today, Andy Crouch, "Two common temptations lure us away from abundant living—withdrawing into safety or grasping for power." Do you grasp for power? Do you withdraw? Can you leverage your influence for the good of all? "True flourishing travels down an unexpected path: being both strong and weak." Come explore your influence and understand how you can be both Strong and Weak. Andy Crouch will provide the tools to help you marry both your authority and your vulnerability in ways that will create opportunities for those around you to flourish. Reserve your spot and invite a friend to join you today. When: Tuesday, September 4, 6-8:30 p.m. Interested in learning more about Gotham, our flagship nine-month faith and work intensive? Join us for a morning interest meeting on May 8 at the offices of the Nashville Institute for Faith and Work. The Nashville Institute for Faith and Work and Lipscomb University's Spark Idea Center are excited to partner and present a weekend Enneagram seminar with Ian Cron, author of "The Road Back to You" and host of the podcast "Typology." Join us as we welcome Pastor and Author Scott Sauls for a discussion and Q&A on his book "From Weakness to Strength: 8 Vulnerabilities That Can Bring Out the Best in Your Leadership". Tickets include admission and a full-course lunch. Interested in learning more about Gotham, our flagship nine-month faith and work intensive? Join us for one of our three interest meetings: a breakfast on March 29, an evening gathering on April 3, or a lunch on April 10. Join us as we welcome Deloitte's Lawrence Blank-Cook to discuss the value of appreciating diversity in the workplace. Tickets include admission and a full-course lunch. Join us as we welcome Belmont University's Dr. Jeff Cornwall for a lesson on "The Virtue of Temperance in Entrepreneurship: Is Work/Life Balance Possible?". Tickets include admission and a full-course lunch. We are excited to gather with Mars, Inc.'s Jay Jakub for a forum on the "economics of mutuality" at Nisolo. Join the Nashville Institute for Faith and Work and ProviderTrust's Chris Redhage for a case study on corporate culture. Boomers, Millennials, Traditionalists, Gen Xers and Generation Edgers—why can't we just all get along in the workplace? Come learn from "generation junkie" Phil Gwoke about the various generational trends in the workplace and how we can leverage our differences for more fruitful and fulfilling work together. Join the Nashville Institute for Faith and Work and Lipscomb University associate professor Phyllis Hildreth for a case study on conflict management. Join the Nashville Institute for Faith and Work for a weekend seminar on understanding calling in light of your vocation. 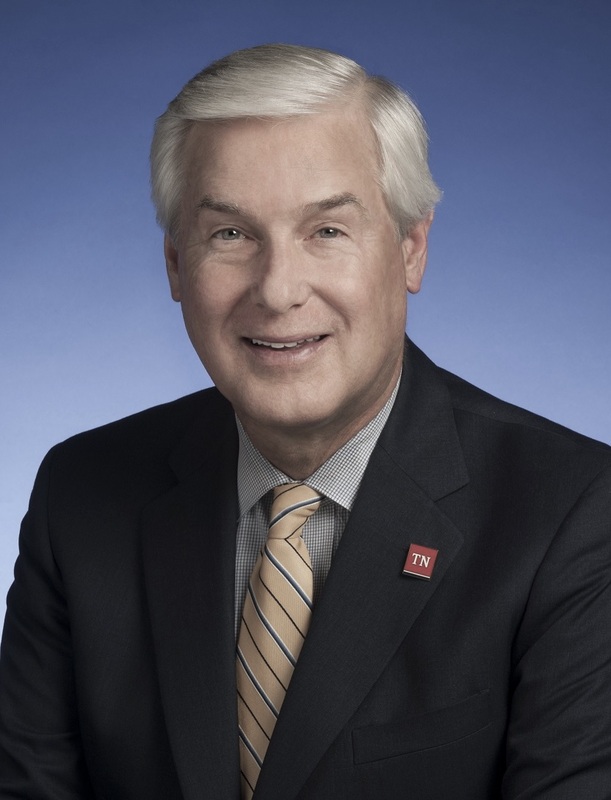 Join the Nashville Institute for Faith and Work and Provident Leadership CEO Executive Coach Ken Edwards for a case study on leading an organization with hands wide open. Join the Nashville Institute for Faith and Work for an open house celebrating our move to a new office space!